Mónica Byrne-Jiménez, Board President, is Associate Professor of Educational Leadership and Policy Studies at Indiana University. Dr. Byrne-Jiménez previously worked in a number of urban settings, including Associate Professor and Director of Educational and Policy Leadership Doctoral Program at Hofstra University, Assistant Professor and Chair of the Graduate College of Education Faculty Senate at University of Massachusetts Boston, K-6 bilingual teacher, Even Start coordinator, literacy instructional specialist, and as a trainer for the Accelerated Schools Center where she facilitated school and district improvement. She was co-developer of Northeast Consortium for Superintendent Leadership Advancement for early career superintendents. She is coauthor of Developing Effective Principals Through Collaborative Inquiry. Her other work has also appeared in Leadership and Policy in Schools Journal, Journal of Cases in Educational Leadership, Handbook of Research on Educational Leadership for Diversity and Equity, Voices in Urban Education, and other on-line sources. She serves on the Executive Committee of the University Council for Educational Administration, the Board of Umoja Project, and as President of the Latino Alumni Association of Columbia University. B.A., M.A., Ed.D. Joanne Brady is an expert in translating research into programs, curricula, and tools for practitioners and policymakers concerned with educational improvement. At Education Development Center (EDC), Ms. Brady conducted policy analyses and other studies to enable states to plan for more coherent early education systems. With the Open Society Institute, she designed and delivered technical assistance and professional development to countries that were a part of the former Soviet Union. She worked with the National Board for Professional Teaching Standards to create and launch the first, national performance assessment to identify and credential accomplished teachers of children ages three to eight. Ms. Brady founded and led the Learning and Teaching Division that organized all of EDC’s domestic education programs and 350 staff into five centers of excellence and, as a Senior Vice President, she worked to advance EDC’s impact and improve the quality and equity of education. Prior to her retirement from EDC, Ms. Brady was instrumental in creating initiatives that focus on STEM education, including the Oceans of Data Institute and the Massachusetts Computing Attainment Network. She also served as a technical advisor to IES’s Regional Educational Laboratory-Northeast & Islands, and has presented her own research at the American Educational Research Association, National Governors’ Association, the International Conference of Civics Education Research, and Society for Research on Child Development. She is the author of numerous reports, articles, assessments, book chapters, and monographs. B.A., M.Ed. 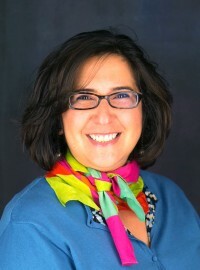 Cynthia Char is Principal of Char Associates, an educational consulting firm based in Montpelier Vermont with clients throughout the United States, and specializing in the design and evaluation of educational programs and products. She began her research career at Harvard Project Zero and Children’s Television Workshop in the late ‘70’s. Prior to establishing her consulting firm, Dr. Char was a senior associate in research and design at both Bank Street College’s Center for Children and Technology in New York and the Education Development Center (EDC) in Newton, Massachusetts. Her evaluation work includes developing and overseeing formative research and process evaluations to help organizations maximize the educational value and effectiveness of their programs and products, and outcomes-based and summative evaluations to assess programs’ educational impact and outcomes. Dr. Char’s particular areas of expertise include learning in formal and informal learning settings (schools, colleges, museums, libraries, zoos, parks, community-based organizations), educational media and technology, and student learning and professional development in science and mathematics. Among her current evaluation projects, she is a senior research advisor for Change the Story, a systemic change initiative promoting the economic well-being of women in Vermont. Dr. Char has a background in human development and learning. B.A., Ed.M., Ed.D. Donald B. Gratz, Board Secretary, has held several key staff and leadership positions during an extensive and distinguished career in education, including Professor, Chair of the Education Department and Director of Graduate Programs in Education at Curry College in Milton, MA. He previously served as Executive Director of The Alliance for Education in Worcester, MA, Interim Development and Alumni Relations Director at Framingham State College, Director of National School Reform at the Community Training and Assistance Center, and Dean of Continuing Education at Quincy College. His community and civic involvements include serving for ten years as a member of the Needham, MA school committee—two terms each as Vice Chair and Chair, as a member of the Board of Governors for Quincy College, and as Vice Chair of The Education Cooperative, serving 19 communities south and west of Boston. Dr. Gratz has also been active in community development initiatives in the past, serving on a variety of boards such as the Jamaica Plain Neighborhood Development Corporation, South Shore Welfare Advisory Board, and Community Action for Greater Middletown. He is widely published on issues of school improvement, student assessment, and performance-based compensation, and his book The Peril and Promise of Performance Pay: Making Education Compensation Work is regularly used in administrator preparation programs. 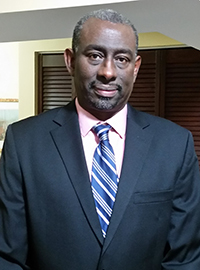 B.A., Ed.M., Ph.D.
James A. Kadamus is a national education consultant and writer. From 2006-2016 he was Vice President and Partner at Sightlines LLC, an education management consulting firm working with higher education and K-12 institutions. From 1994-2005, Mr. Kadamus served as Deputy Commissioner, Office of Elementary, Middle, Secondary and Continuing Education, at the New York State Department of Education, Albany, NY. In that capacity, he implemented standards-based preK-12 reform in New York’s school districts serving 3.1 million students, resulting in higher levels of student achievement. He also oversaw the development of New York’s school finance program and managed the $18 billion school aid program. Before his service as Deputy Commissioner, Mr. Kadamus served as Associate Commissioner, Office of Finance, Management and Information Services; Assistant Commissioner, Office of Higher and Continuing Education; Assistant Commissioner, Office of Elementary, Secondary and Continuing Education; and Chief, Bureau of Proprietary School Supervision—all at the New York State Education Department. He has testified and advocated before the U.S. Congress and New York State Legislature on numerous education and budget legislation. He writes commentary on education for The Providence Journal and other education websites and blogs. Mr. Kadamus is a member of the Ocean Community YMCA Association Board of Directors based in Westerly, Rhode Island. B.A., M.R.P. Gerald Kohn, Board Vice President, is an educational author who served as the Superintendent of the Harrisburg Public Schools in Pennsylvania from 2001-2010. Under his leadership, this 9,000 student urban school system increased its graduation rates by 171% and post-secondary acceptances by 419%, while reducing dropouts by 53% and doubling the percentage of students passing state tests. Also during his term, the district was selected by Harvard Business School for the Public Education Leadership Project as one of nine urban districts in America that demonstrated national level improvement and the preschool—implemented under the Kohn Administration—was recognized nationally and served as the basis of state legislation to support preschool for at-risk children statewide. Dr. Kohn previously served as Superintendent of the Vineland Public School District in New Jersey, Bensalem Township School District in Pennsylvania, Millburn Township Public Schools in New Jersey, and Triton Regional School District in Massachusetts. As Director of Desegregation for Cambridge Public Schools, Dr. Kohn led the development of the first voluntarily formulated desegregation plan to be approved by Massachusetts State Board of Education. He served as National President of the Suburban School Superintendents Association from 2007-2008 and won the 2009 Superintendent of the Year Award from the National Superintendents Roundtable. B.A., M.A.T., Ed.D. 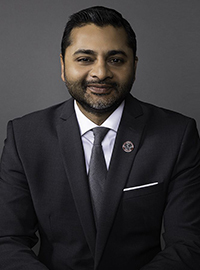 Ajay Nair is the President of Arcadia University in Glenside, Pennsylvania. He is also a nationally recognized expert in student affairs issues and an accomplished social justice, race, and ethnicity scholar. At Arcadia, Dr. Nair has instituted Arcadia UKnighted, a presidential initiative and interactive forum for members of the University community to engage in dialogue and collaboration. Dr. Nair has served on a wide range of university and civic boards and organizations, including as director of the Division for Equity, Inclusion, and Social Justice for NASPA (Student Affairs Administrators in Higher Education). At the 2018 NASPA Conference, Dr. Nair received the Dr. Doris Michiko Ching Shattering the Glass Ceiling award for his impact on the Asian, Pacific Islander, and Desi American community through his leadership, service, and scholarship. Previously, Dr. Nair held executive leadership positions at the University of Pennsylvania, Columbia University, and the University of Virginia. Dr. Nair serves on the editorial board of INSIGHT Into Diversity, the oldest and largest diversity publication in higher education. His research interests include quality assurance in educational systems, service learning and civic engagement, and second-generation Asian American identity. B.S., Ph.D.
Helen Randolph, Board Treasurer, is an Instructor at Cambridge College in Cambridge, MA. Ms. Randolph is a former elementary school teacher and previously served as Director of Gifted and Talented Programs for the Newton Public Schools. Ms. Randolph has been an Instructor at Old Westbury College and State University of New York at Stony Brook where she taught courses in Afro-American history. She led parent trainings for the Detroit Board of Education and served as a Consultant for McGraw Hill. 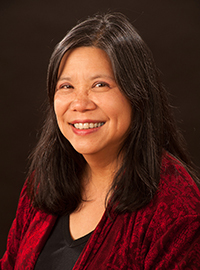 As a Research Associate for the Center for Urban Education in New York City, Ms. Randolph developed curriculum on cultural histories of Chinese-Americans and Afro-Americans. She served as Research Coordinator for Hunter College where she led the evaluation of consumer practices in New York City, Miami and San Diego. Her community involvements include Member and Chair of federal funding, Central Islip, New York School Board; Panelist, WLIB radio, programs on education and employment; and Board of Managers, YMCA, Greater South Bay Area, New York. B.A., M.A., Ph.D. candidate.